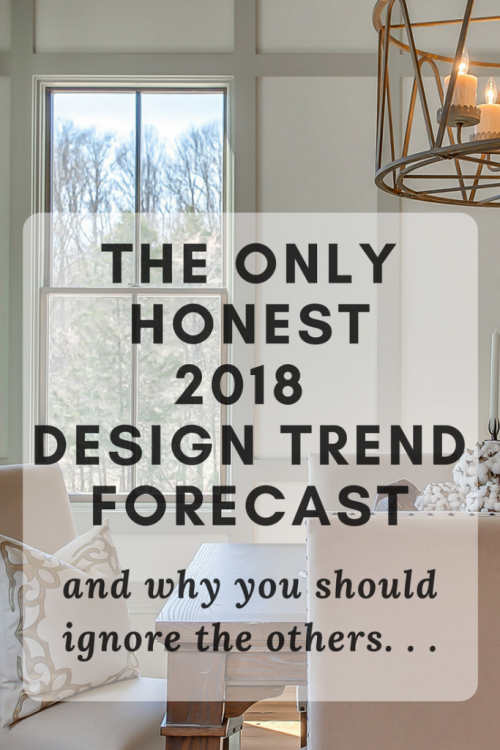 I can honestly say in my 8.5 years of design blogging, I have never seen so many articles about the next year’s design trends – and they are mostly CRAP. Most of them are geared in the direction of “what trends are OUT” – which means what trends the writer WISHES were out. The worst ones are written by journalists who interview about twenty different designers and compile one list of what’s “out.” Which means you end up with a hodgepodge of trends that have been out for 10+ years mixed in with trends that have barely been around a year, just because some designer says they are “soooo over”. One notable one was the pineapple motif. One designer went on and on about how she is sooo over the pineapple motif she has seen EVERYWHERE in 2017. Give me a break – most people didn’t even know the pineapple was back “in” last year! And of course, nearly every designer everywhere is ready for the white farmhouse to fade away. But then there are the cold, hard facts. Truth be told, most trends hang out for awhile and don’t just fade away after a year or two. So here’s a 2018 design trend forecast based on REALITY, not what I wish or what I like. I follow design and color trends for a living, y’all, so here’s a list of things you will actually be seeing in retail. 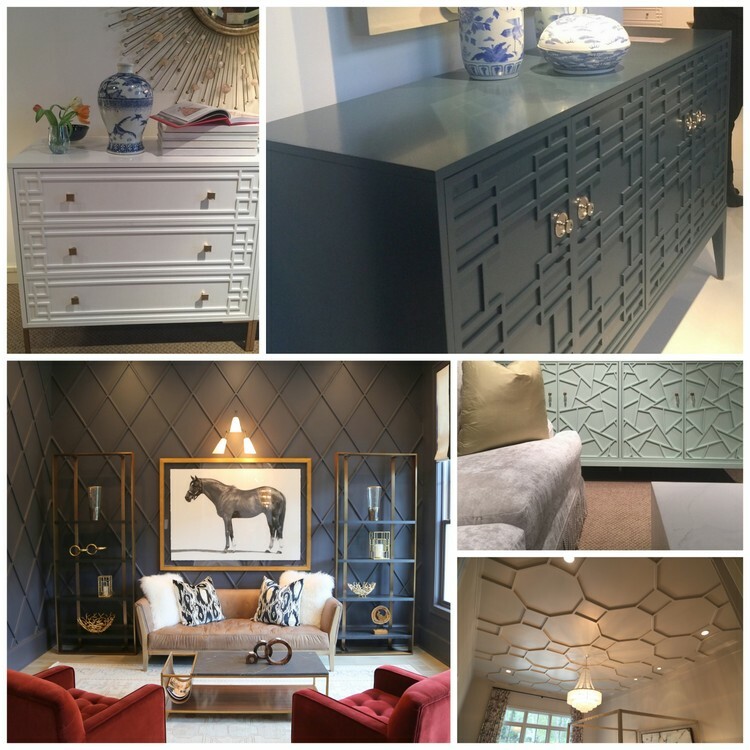 It’s up to you to decide whether or not you want to incorporate any of them into your home in 2018! 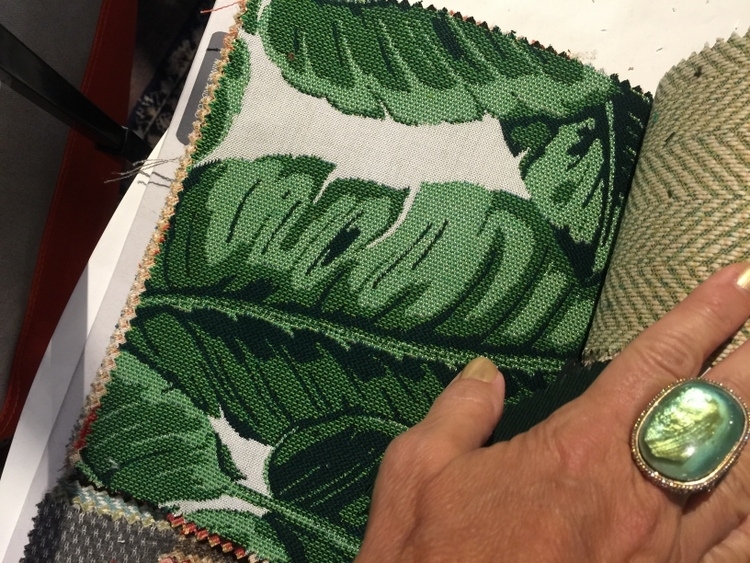 While the pineapple isn’t “out,” there are lots of new fabric and decor lines that feature cactus and ginkgo motifs. Take the mid-century stuff and round the edges – more art deco with softer curves and amorphous shapes. Lots of swivel chairs. The unofficial shape of the year is the honeycomb, also referred to as hexagon. 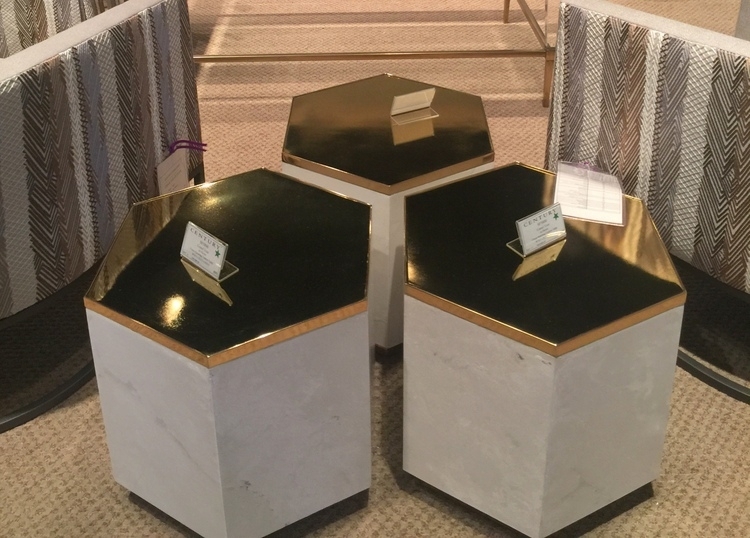 Lots of honeycomb tiles, fabric patterns, and even tables abound. No, it isn’t new, but that doesn’t mean it’s not on trend. 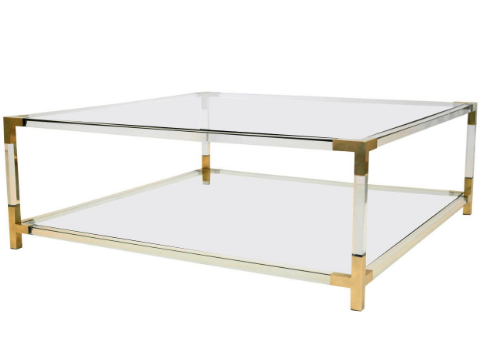 Lucite is everywhere, especially in tables. Gold is still the hot metal for 2018, although you will also see a lot of iron finishes, as well. I’ve also read that copper is so “out.” It’s not. I saw plenty of it at market. 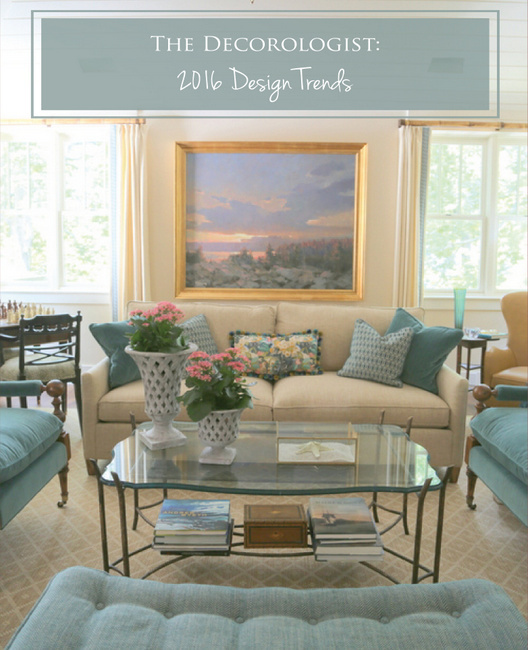 Lots of applied trim is showing up on furniture, walls, and ceilings everywhere. It’s all in the details, isn’t it? One article I saw reported this one as going “out” this year. Nope. It’s just now gaining momentum. There’s plenty of variety, and it also has a bit of old world charm to it. 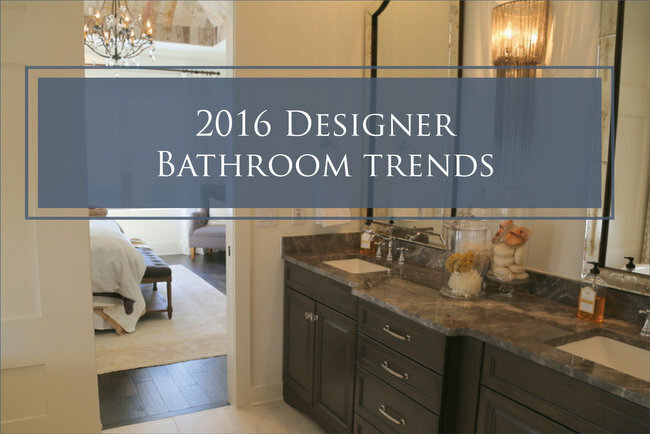 You’ll continue to see this trend on floors and backsplashes. 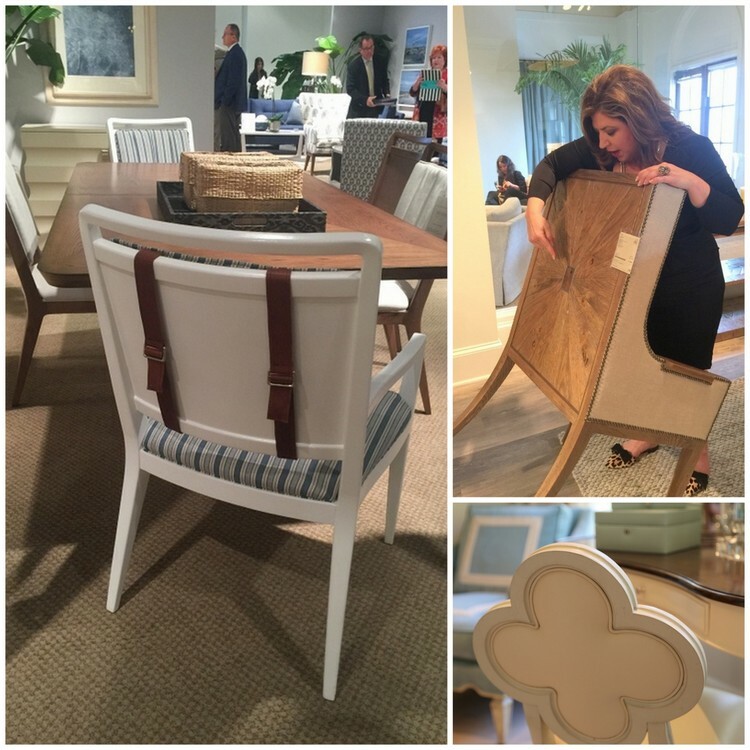 Look for lots of detailing in chairs, particularly on the backs of chairs. Look for embellishments, contrasting piping, and party-in-the-back surprises. This look started last year, and I see no sign of it stopping anytime soon. 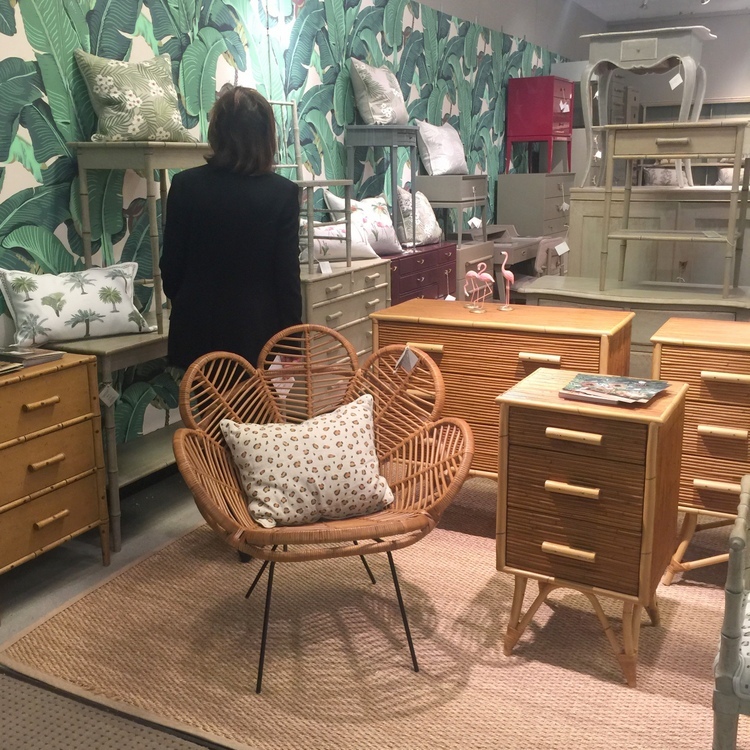 Whether it’s California Casual with cotton macrame, woven baskets, and wooden bowls, or Jungalow® with oversized palm leaves, rattan, and raw wood, decorating with a bohemian vibe is like taking a tropical vacay in your own home. 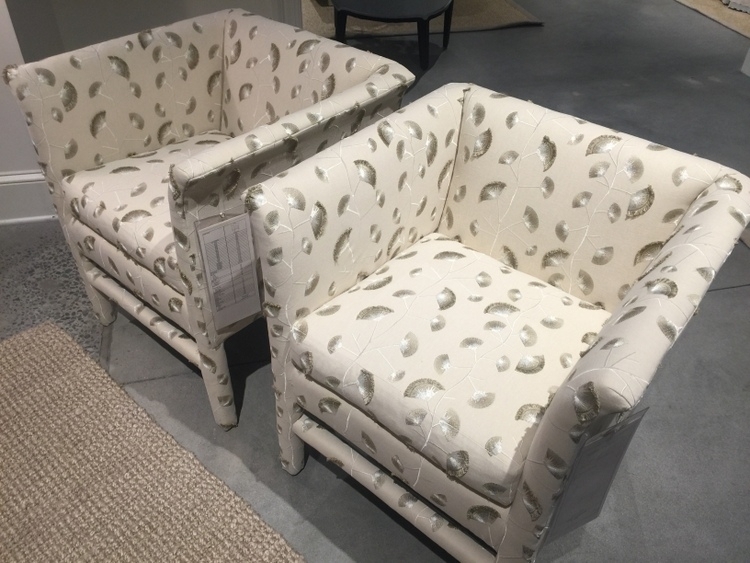 This trend is kinda a wild card, but I swear I saw it all over High Point Furniture Market in the fall. Keep your eye out for it (haha). 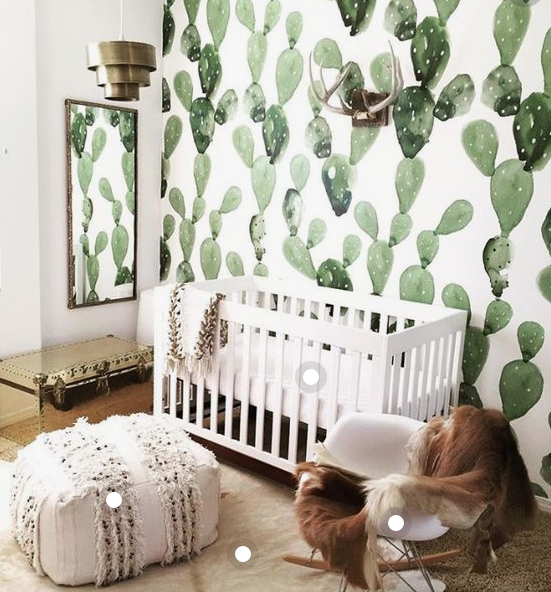 That’s it for my honest-to-goodness 2018 design trend forecast. Were any of these a surprise to you? 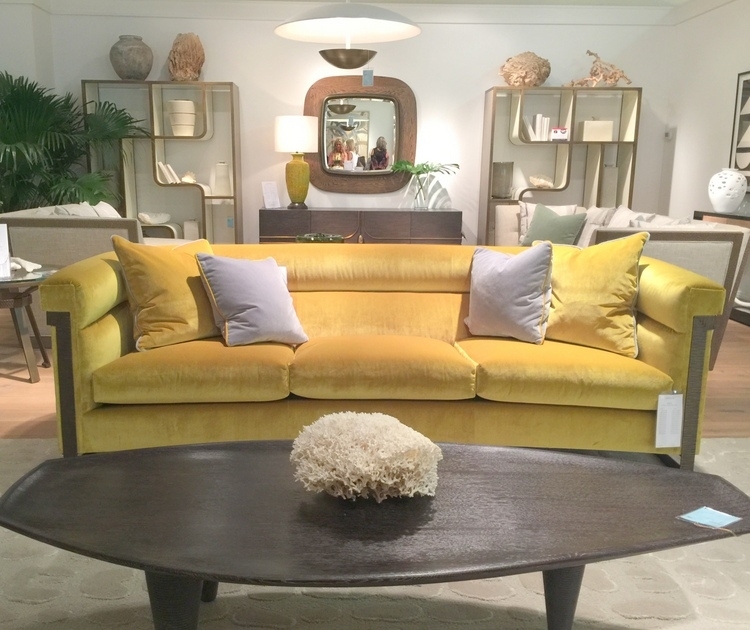 You may want to check out my color trend report from High Point Market here. Next week, I’m headed to the Kitchen & Bath Industry Show in Orlando with the Modenus DesignHounds to find out what’s coming down the pike in kitchen and bath design. Be sure to follow me on Instagram so you can be in-the-know! Registration is open for my only fall Expert Psychological Stager™ course – find out how you can start a new career in the field of design now! 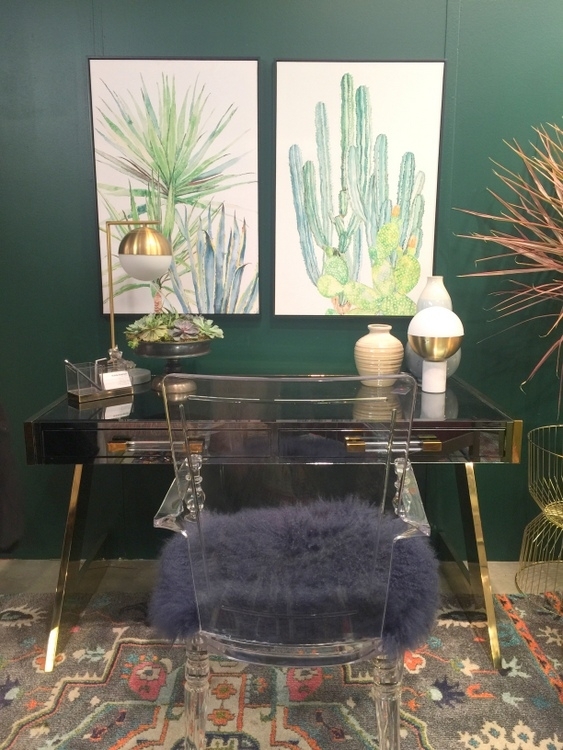 This entry was posted in Decor Addiction and tagged 2018, decorating, design, design trend forecast, trends. YUK to the eyeball. YAY to encaustic tile!!! Happy New Year!! Do you have any good websites to check out for the applied trim? Happy New Year to you! I remember seeing a website a couple of years ago where you could buy trim pieces to fancy up IKEA furniture. I wish I could remember the name of it!! Is the company Stickwood? Peel and stick wood finishes ….pretty cool. Saw it on an Ikea headboard. Trends are great as long as they’ know there place( ie pillows, vases, and other easily changeable de orating pieces. Funny, I can’t keep up with what is in out. Thanks for clarifying the pineapple thing. When I heard last year’s news about pineapples, I was thrown for a loop because I didn’t recall seeing much of them in photos. I’m with you – I saw a few pineapples here and there, but certainly no explosion of the pineapple motif! I was kind of pleased to see the pineapple making a comeback. You can see pineapples all over Williamsburg because in Colonial times they were a symbol of hospitality (and of status, you had to have money to afford to rent one for a party). 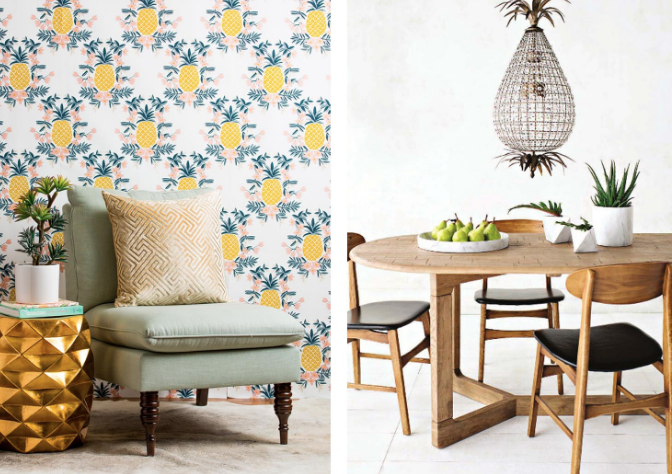 The tropical trend makes sense in light of the pineapple’s re-debut last year. Wouldn’t mind a bit of that to help offset how cold it is outside! I like the rounded edges and applied trim too. 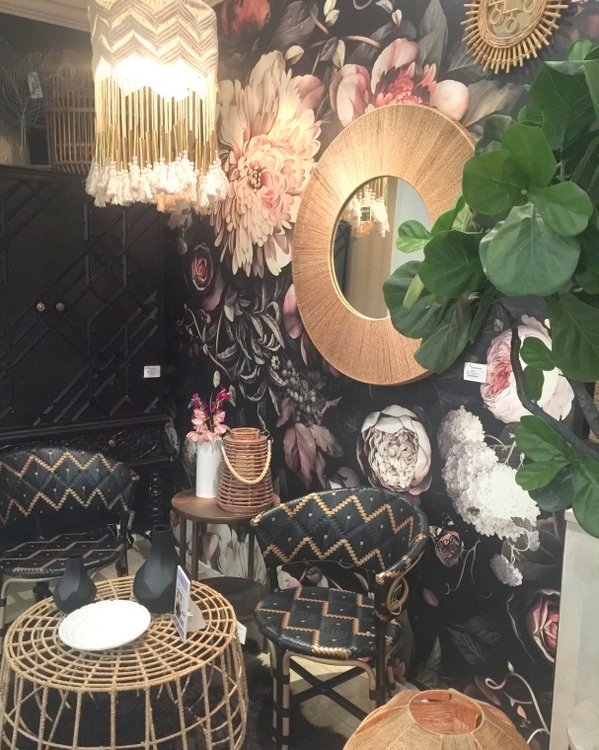 I kinda love the jungalow look right now – maybe it would make me feel warmer in these historically low temperatures! SO spot on my friend!! Can’t wait to do KBIS again with you!!! Holy cool…..LOVE the eyeballs!! And the applied trim too. Oooh lala. Will be taking these to heart in a couple of redesigns in play right now. Thanks, Kristie! 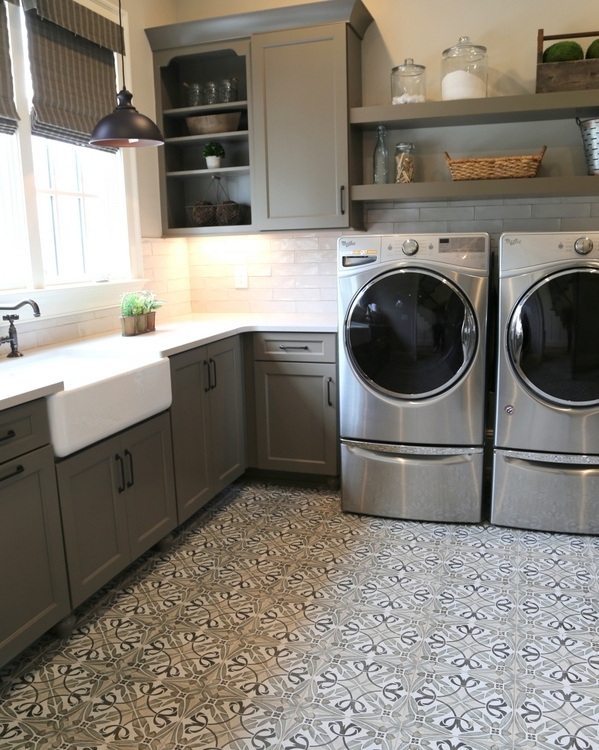 Not liking most of the trends – except for the applied trim and encaustic floor tile…Always loved basket weave tiles in bathrooms…The eyeball motif seems pretty creepy…Cool article..
P.S. In re-reading my comment, I’m hoping “cool accessible” is not an oxymoron! KBIS certainly features the latest in design for accessibility, so I will keep my eyes open for that! I am hoping that forecast will stick, because I could certainly use that change in weather right now – it’s freezing cold in Nashville! Oh, thank you so much, Kristie! I enjoy all of your show reports so I’ll watch for your discoveries! My daughter would love the eyeball, so maybe it is a young person or young at heart thing! Forecast is for 73 degrees in Orlando on Monday! Will you be at the Orange County Convention Center? Let me know if you need restaurant recommendations! That forecast sounds PERFECT. 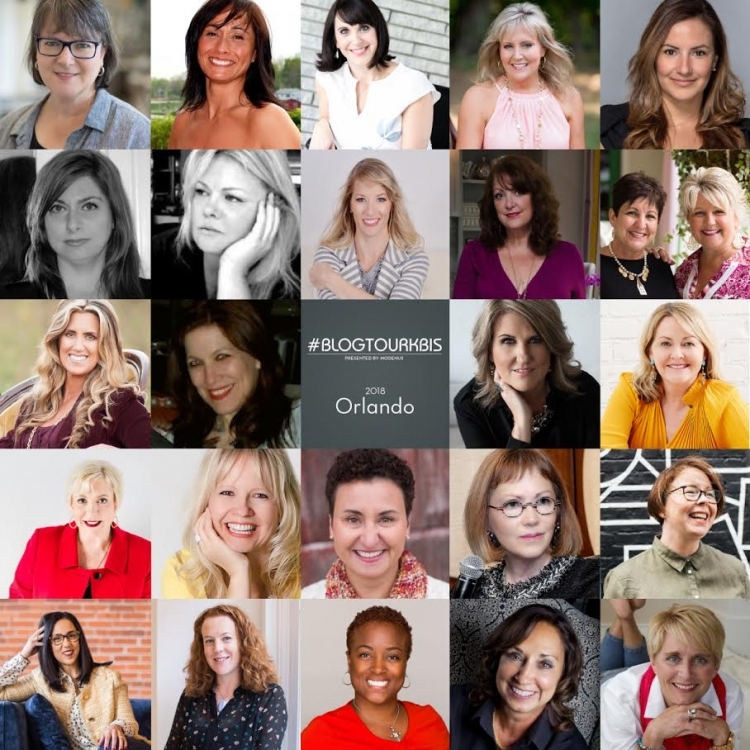 I believe they have the KBIS BlogTour team fully booked, every moment of the day – I guess I’ll be eating where they tell me I’ll be eating, haha!!! Thanks anyway! Love the encaustic porcelain tile, applied trim, chair detailing, and honeycombs. 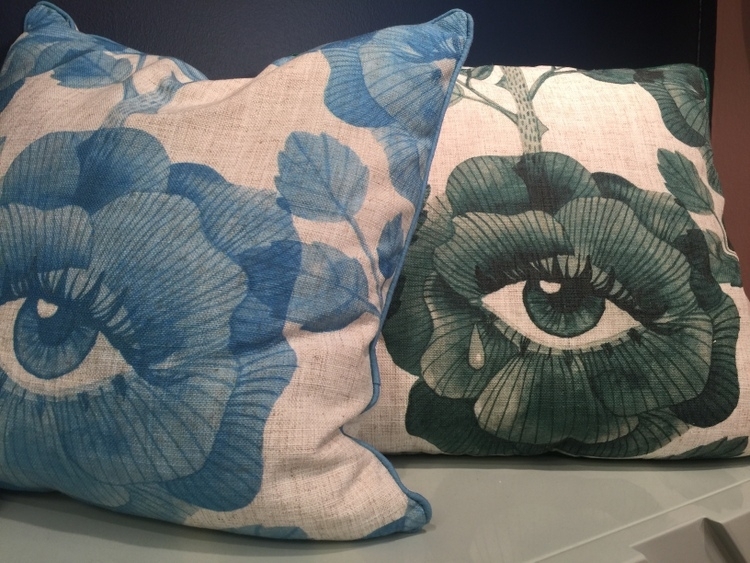 The eyeball pillows made me laugh, but too creepy for my home. Looking forward to what you find at the Kitchen & Bath show! Thanks for sharing! Great blog, Kristie! I do always find the “trends on the way out” are purely what the designer is wishing would be out. Sharing on my Page. The eyeball trend surprised me, but I do like the pillows you’ve shown. I’d do one or two of those in my home, but I don’t think I’d want eyeballs everywhere! Use eyeballs in moderation only, haha!!! Also love the encaustic tile when used to surround a fireplace. Thank you for your inspiring ideas and photos. I ‘m not sure how I like my pillows staring at me, lol! 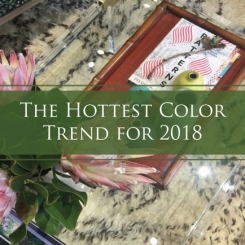 Other than the eye motif, I’m looking forward to all of these trends for 2018! Bobbi, maybe winking eye pillows would be better, haha!! It’s really lovely. Thanks for sharing this post. Actually- believe it or not, i want that exact eye pillow. I own a yarn shop, evoke eye is all the rage. Wha brand is that? There was no link.